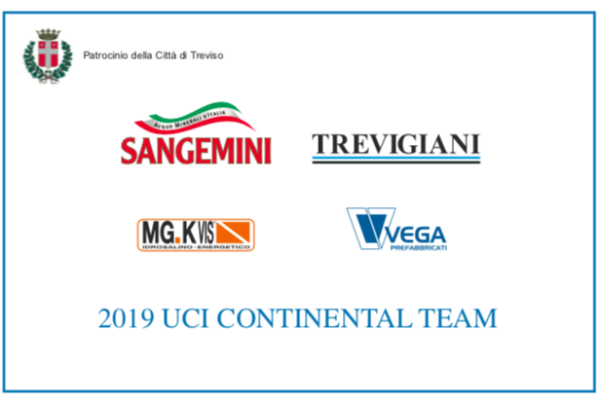 Trevigiani Phonix Hemus 1896 magic period continues, today the Continental team from Treviso took the fifth win of the season. 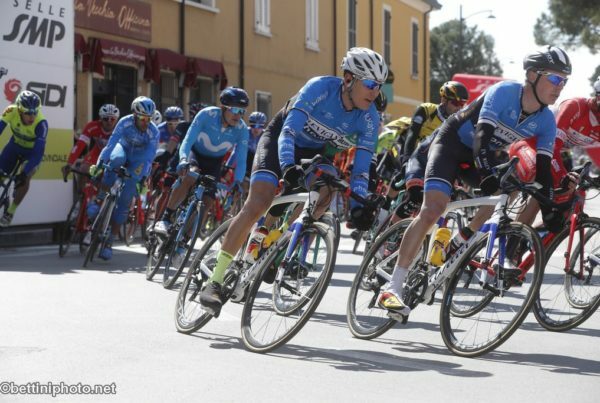 Moroccan national championAbderrahim Zahiri was the best in the first stage of the second edition of “Toscana Terra di Ciclismo – Eroica”, international stage race for Under 23 riders. 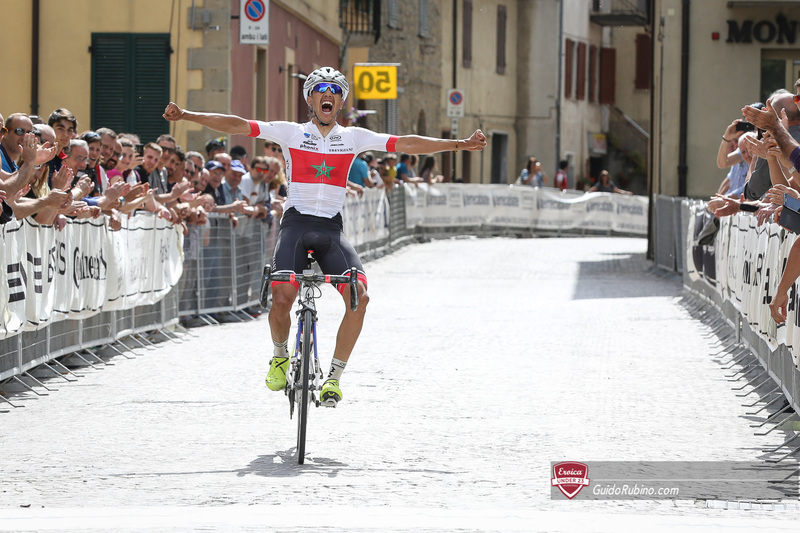 The 22 years old from Mirt, thanks to an attack in the final, showed up solo at the finish line of Cinigiano (GR) and was able to celebrate his first success in Italy, after the two pearls captured last month at Khenifra M’rirt and Course de Marrakech Echarpe. «Today we lived an exacting race, with two stretches of dirt road really challenging. With Zana we moved after 30 km from the start, but from behind they took us back, so we tried again until in the final we were in 9 to play the stage. I attempted to extend the decisive attack 4 km from the finish line, but I managed to finally detach the other two guys who then completed the podium only 2 km from the end. I am really happy to have won in Italy with UC Trevigiani glorious jersey. I dedicate this success to the team that has been making me learn so much from last year, to my teammates who also today have raced in an exceptional way and to my family who always support me from afar» comments Zahiri in white-amaranth shirt. Now he leads the general classification with 5″ on Giacomo Garavaglia (Petroli Firenze Hopplà Maserati) and Gianni Pugi (Malmantile Gaini), that finished behind him in the order. The 8th place of Filippo Zana, the 12th of Alessandro Fedeli and the 20th of Fabio Mazzucco completed the excellent team test. 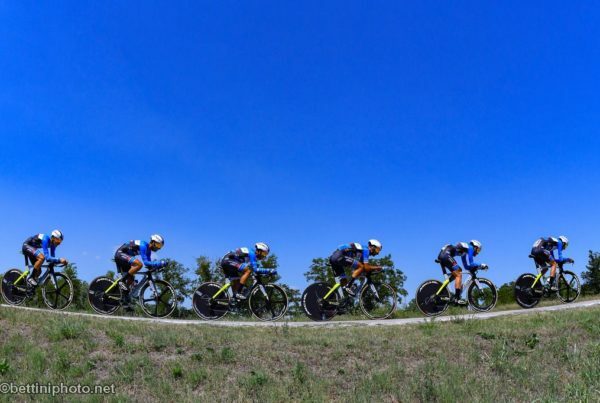 Tomorrow rest day in Tuscany, waiting for Monday April 30th the 2nd stage, the most demanding, 156 kilometers long in the province of Siena starting from Radicofani and arriving at the summit of Mount Amiata, at an altitude of 1687 meters. Tuesday 1st May final stage: from Marciano della Chiana (AR) to Buonconvento (SI) of 163 km.